Cara Dalton lives a normal, routine life until her first daring adventure lands her in imminent danger. Mistaken as a witness to a brutal crime, she becomes the target of a ruthless drug smuggler who is willing to stop at nothing to silence her. Now, she must place her safety in the hands of a wounded stranger. 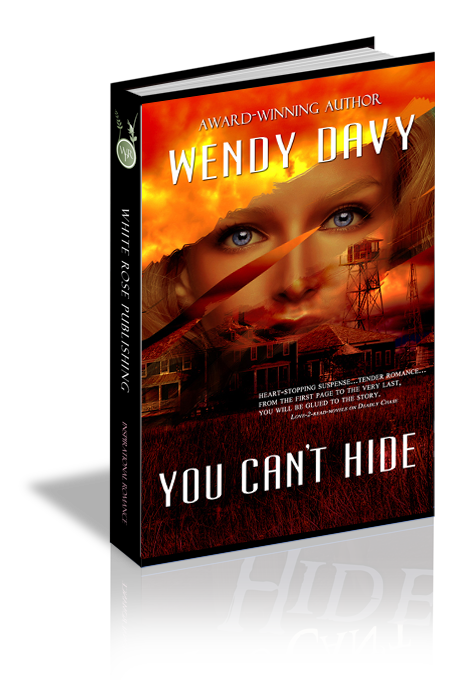 Undercover agent Gage McKenna knows all too well the dangers Cara is up against. Recovering from a life altering injury—inflicted by the same man who now hunts Cara—Gage faces an uncertain future of his own. As Gage and Cara team up to fight this highly motivated killer, they must learn to rely on each other or risk losing it all. “I don’t believe that. Besides, you’ve been holed up on Cedar Island long enough.” Jonas Dalton’s voice came through clear. Gage tensed. “No way. She’s not coming here.” Not to his sanctuary. With only a handful of houses remaining on the Eastern Shore barrier reef island, he was virtually alone, and he liked it that way. “Do you think I have other options?” Jonas’s tone took on a heightened sense of urgency. Normally calm and cool under pressure, that could only mean one thing—this situation must be serious. Gage ground his teeth as he looked out the window, searching for the solace he craved. With the tide rising, the Atlantic Ocean’s waves stretched across the beach. The protected island teemed with endangered species of birds and other wildlife, and numerous seashells covered miles of desolate sand. He’d known this house and all its outbuildings would become available long before the Coast Guard retired the place. He’d watched and waited for the opportunity, and his patience had eventually paid off. Gage valued the view from his home, but he valued his privacy more. Even as these thoughts passed through his mind he knew he couldn’t deny Jonas. He owed the man his life. Cara inspected her suitcase’s contents as anxiety knotted her stomach. Her tense muscles screamed for release, but she had no time for a jaunt on the treadmill or a trip to the gym—she had a brother breathing down her neck. “It doesn’t matter.” Jonas grabbed her purse and searched its contents. He plucked out her cell phone and dropped it on the floor before smashing it with his boot heel. “Hey, what are you doing?” Her mind spinning, Cara couldn’t comprehend this change in her brother. She’d never seen him like this before. Usually an easy going guy, he’d transformed into a ruthless machine. Jonas slid her credit and debit cards from her wallet, and stashed them away in her nightstand. Intense green eyes met hers and held. “I’ll tell you what I’m doing. I’m keeping you alive. The phone can be traced and the cards monitored. Anything you need, you can buy with cash.” He stuffed a wad of twenty dollar bills into her purse, zipped it shut, and shoved it toward her. “This is crazy. I need more time.” She hadn’t had the chance to wrap her brain around all that had happened in the past forty-eight hours, much less plan for a trip to who-knew-where. “There is no more time.” Jonas withdrew a handgun from beneath his jacket, and peered into the living room. “I’m well aware.” Jonas stepped down the narrow hallway. Cara slung her purse over her shoulder, picked up her suitcase and followed. “Right. It’s top secret.” A strange sense of loss swept over her. She had thought she’d known her twin so well, and to discover she really didn’t know what Jonas spent his time doing had not only shocked her, but rattled her sense of security. “I wish you hadn’t said that.” As much as she’d like to deny it, she really was in deep trouble. “You’re not going to stay with me?” Her legs weakened, and she leaned against the door frame.